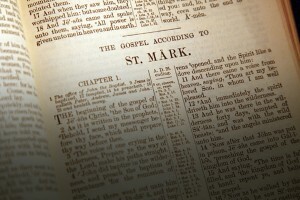 The text does not appear in early lists of canonical documents and may not have been considered worthy of addition based on the fact it appeared in history well after the life of Peter (too late in history to have been written by him), and did not add significant, new (or even contradictory) material to the eyewitness account of Jesus. The few quotations available to us corroborate several elements of the historical account of Jesus. The Preaching of Peter describes Jesus as the real, historical “Son of God” through whom God created the universe and everything in it. The text also affirms that Jesus had many disciples, and from these disciples twelve were specifically chosen and commissioned to preach the Gospel. The Preaching of Peter corroborates Jesus’ persecution at the hands of the Jews, His crucifixion, resurrection and ascension. The text also affirms the Old Testament prophetic predictions related to Jesus and the Biblical notion that only those who hear and believe are saved. In the few passages that are available to us from the letter of Clement, nothing from the Preaching of Peter appears to contradict or distort the orthodox teaching related to Jesus. The Gospel of Peter was first discovered by the French archaeologist, Urbain Bouriant in 1886. He recovered the 8-9th century manuscript from a monk’s grave in Akhmim Egypt, approximately six miles from the Gnostic Nag Hammadi Library discovery. The text available to us is only a fragment and it represents a narrative description of the Passion of Jesus (His crucifixion and resurrection). It is unknown if the original Gospel of Peter was a complete narrative about the life of Jesus or if the text was always limited to the Passion. The Gospel of Peter may have been very popular among early Christians and was certainly known to the early Church Fathers. Eusebius mentions the Gospel of Peter and cites a letter written by Serapion, the Bishop of Antioch between 190 and 203AD. Serapion describes the Gospel of Peter as mostly trustworthy, declaring that “most of it belonged to the right teaching of the Saviour”. But Serapion also condemned the text and warned that some parts incorrectly described Jesus in a Gnostic or “Docetic” manner, as a spirit whose body was only an illusion. Much later in history, Church leaders continued to condemn the work as heretical; both Jerome and Pope Gelasius I classified the text in this manner. In any case, scholars date the Gospel of Peter to the late 2nd century and consider any internal claims related to Peter’s authorship to be inauthentic. The Gospel of Peter appears in history far too late to have been written by Peter. Interestingly, the Gospel of Peter confirms and acknowledges much of the Passion narrative without actually utilizing material from Luke or Matthew. This has caused many scholars to wonder if the Gospel represents yet another independent eyewitness account or is referencing source material that was also referenced by the other Gospel writers (the latter opinion being that of more ‘liberal’ theologians and literary critics). The Gospel of Peter agrees remarkably with much of the Passion narrative, identifying Pilate and Herod by name, and identifying Joseph (presumably of Arimathea) as the “friend of Pilate” who asked for Jesus’ body. The details of the Passion are then described in a manner similar to the canonical Gospels. Jesus is taunted and subjected to the crown of thorns and the purple robe. His opponents beat Him and slapped Him and ultimately crucified him between two thieves, placing a sign on His cross that read, “THIS IS THE KING OF ISRAEL”. His garments were divided and the executioners gambled for them. They gave Jesus gall and vinegar to drink. At the death of Jesus, the veil of the Temple was torn in two, and the sky became dark. Jesus was later removed from the cross and taken to Joseph’s tomb. Pilate assigned guards to Jesus’ tomb (the lead guard was named “Petronius”) but on the night before Resurrection Sunday, the tomb was visited by angels and Jesus was resurrected from the grave. The guards saw the stone being rolled from the grave, but the silence of the guards was purchased and, like the canonical Gospels , Mary and her “women friends” are the first to visit the tomb and speak to the angel. Three disciples of Jesus are mentioned specifically (Peter, Andrew and Matthew). Serapion’s concerns related to the Gospel of Peter seem to be well deserved. The Gospel demonstrates a Docetic view of Jesus that is consistent with the Gnostic view of matter shared in the community located just six miles from the monk’s grave where the Gospel was first discovered. The text encourages an immaterial view of Jesus. For example, when Jesus died on the cross, the Gospel of Peter claims He “remained silent, as though he felt no pain,” and at the point of Jesus’ death, He is described as ascending immediately to heaven (“…he was taken up.”) The narrative does, however, claim the “body” of Jesus is ultimately placed in the tomb. The surviving Gospel fragment is missing its closing chapter(s), but it does not seem to contain any accounts of the bodily resurrection of Jesus. The Gospel of Peter seems to describe Jesus as resurrecting and ascending on the very same day (although it is unknown if the missing chapters would include the reappearance of Jesus among the disciples). A Docetic view of Jesus would naturally exclude such accounts of a resurrected Jesus with a material body. Some scholars have also observed what appears to be an anti-Jewish inclination within the Gospel of Peter. The Gospel omits all references to fulfilled prophecy from the Old Testament and exonerates Pilate from any responsibility in crucifying Jesus (laying the blame on Herod and the Jews who, unlike Pilate, fail to “wash their hands”). This text, like other Gnostic documents from the late 2nd century, was discovered as part of the Nag Hammadi Library in Egypt in 1945. The surviving text is a 4th century manuscript written in the Coptic language (like many other Gnostic documents) so it is sometimes referred to as the “Coptic Apocalypse of Peter”. Like other Gnostic texts from this period the Gnostic Apocalypse of Peter is presented as a dialogue between Jesus and a key figure from Christian history, in this case, Peter. The Gnostic Apocalypse of Peter appears in history too late to actually have been penned by Peter or any other writer who could have had contact with Jesus. The author of the text includes a reference to Hermas and appears to be arguing in opposition to theology that is presented in the “Shepherd of Hermas”, a document that dates to the middle of the 2nd century. In addition to this, the Gnostic Apocalypse of Peter was discovered alongside other Gnostic texts that date to the middle or late 2nd century. These texts were immediately identified by the early Church Fathers as late, heretical Gnostic frauds. In spite of these heretical elements, the Gnostic Apocalypse of Peter does affirm many details related to Jesus. He is described as the “Savior” and the “Son of Man” and Peter is identified as one of His disciples. Jesus is described as a wise spiritual teacher with Divine knowledge. He makes several statements familiar to the canonical Gospels, including: “For people do not gather figs from thorns or from thorn trees, if they are wise, nor grapes from thistles” (Matthew 7:16). Jesus’ death on the cross is also referenced as part of the text, including the fact that he was pierced with nails. The Gnostic Apocalypse of Peter contains a number of common Gnostic characteristics, including the value of hidden, esoteric knowledge (in this case revealed exclusively to Peter), and the corrupt nature of the material body. Like other Gnostic texts, this manuscript also seems to demonstrate a “Docetic” view of Jesus: His material body was only an illusion and He is in truth a purely spiritual being who only appeared to die on the cross. As with other non-canonical documents we’ve examined, there’s an emerging pattern related to dating and accuracy (this set of ancient documents attributed to Peter is an excellent example). Earlier documents tend to be more orthodox in their presentation of Jesus than later texts. As time progressed, religious sects of one kind or another co-opted the person of Jesus and “reshaped” Him to fit their particular theological perspective. The later the non-canonical text, the more dramatic the “reshaping”. That’s why the first question we must ask any eyewitness is simply, “Were you really there to see what it is you said you saw?” That’s also why we can trust the New Testament Gospels are the only true eyewitness accounts related to the life, ministry, death and resurrection of Jesus. Next What Do Christians Mean When They Say, “God (or Jesus) Spoke to Me”?